Different businesses have varied requirements. 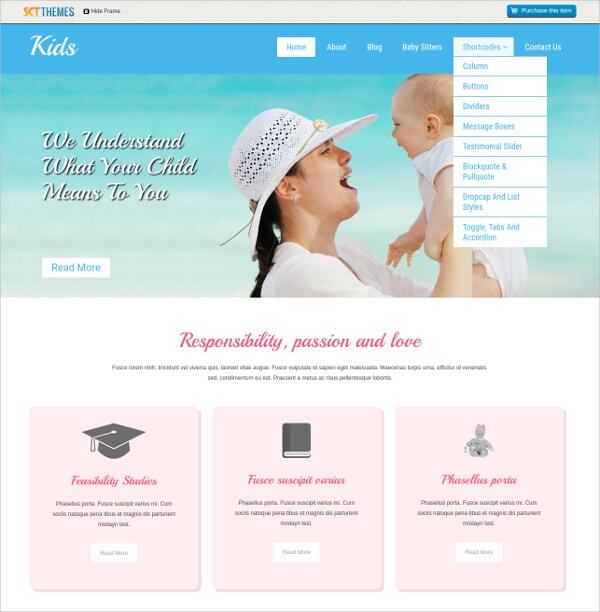 The Kids Care and baby care centers can also use these WordPress Themes for their promotional activities. These themes come with the latest features such as WPML and WooCommerce compatibility. 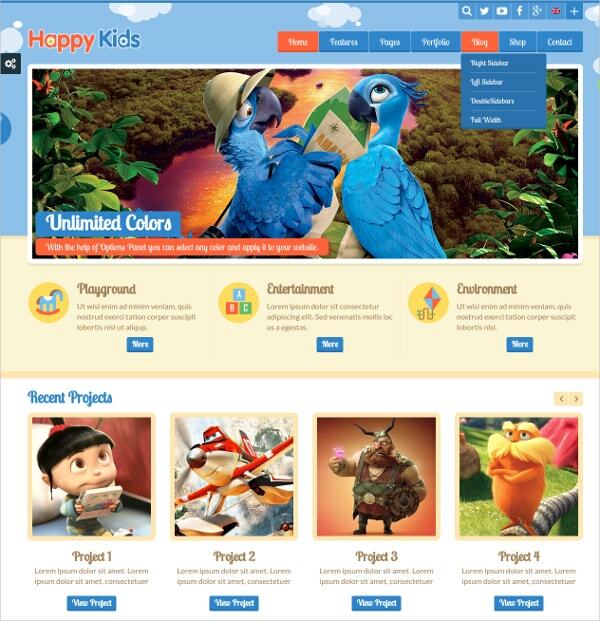 The various color options make this theme attractive to children. Easy to install and easy to use is the mantra of these themes. The compatibility with all kinds of browsers makes this theme easy to view as well as use. 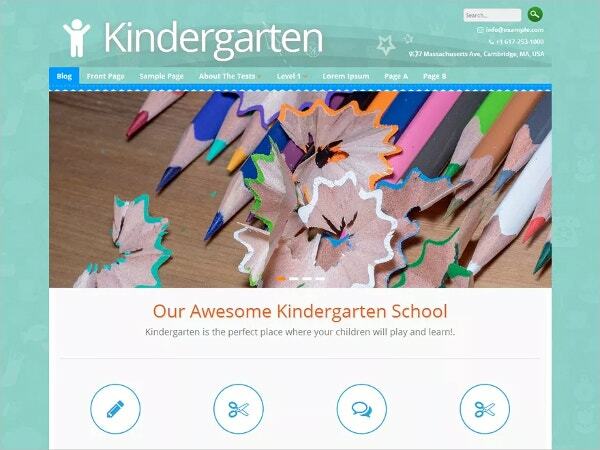 Here are some Kids WordPress Themes. 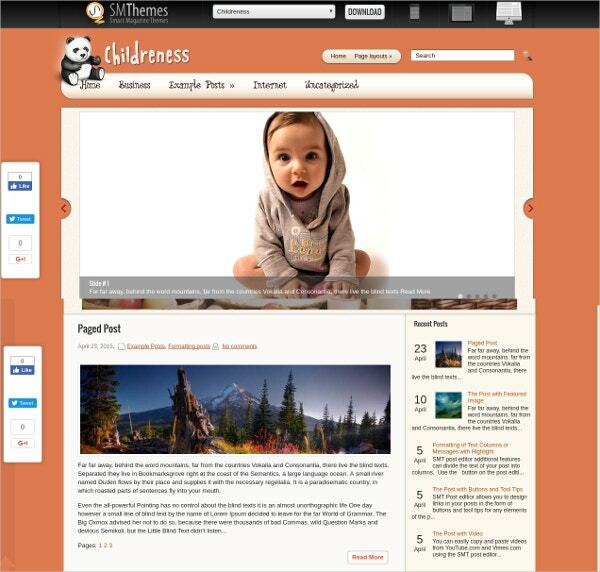 You may also see WordPress Baby Themes. 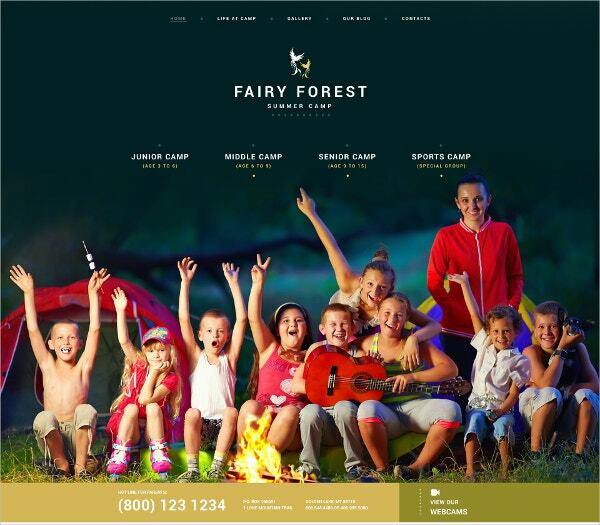 This fully editable Kids forest camp theme is a responsive theme making it easy to view on all the internet accessible devices. The WPML compatibility ensures that the user has the advantage of using multiple languages. The theme is easy to use as it has more than eighty shortcut codes. The color changing facility and customized typography add to the attraction factor. You may also see Typography WordPress Themes. 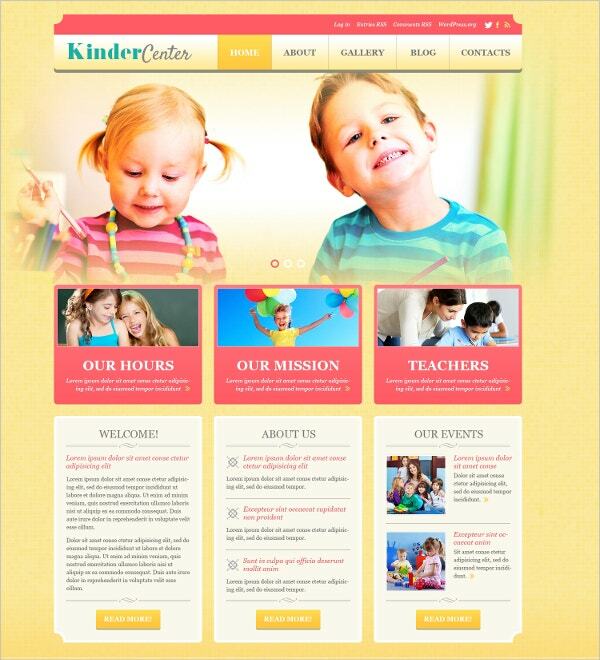 This WordPress theme has the kindergarten day care center requirements in mind. The responsiveness and the retina ready features allow for easy viewing over a range of compatible browsers. The HTML5 animated sliding options make it best for easy integration with the hand designed illustrations. 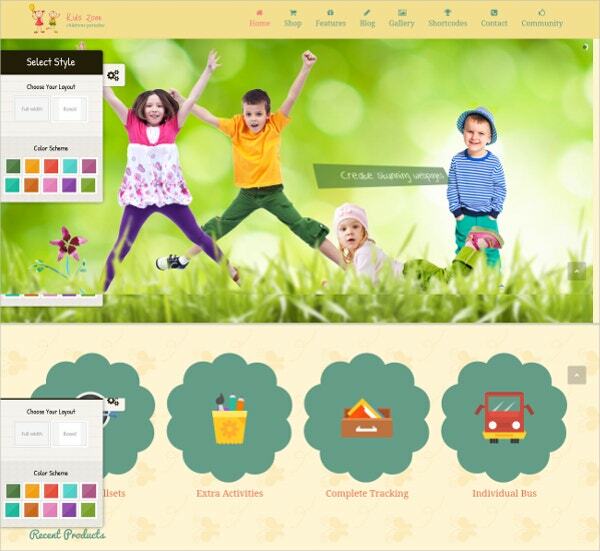 The built in page layouts make it attractive for children to use. You may also see HTML WordPress Themes. 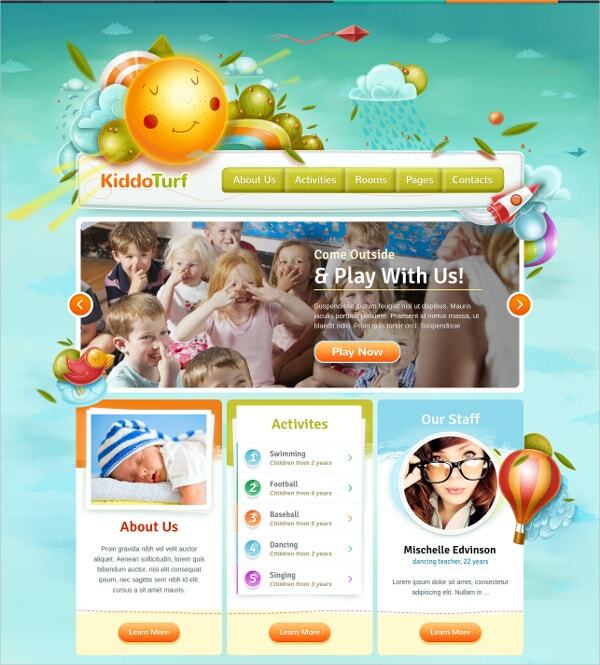 This responsive theme is best for the Kids center maintenance purposes. This WP theme allows for easy editing as well as posting custom formats. The WPML compatibility ensures use of multiple languages. The filterable portfolio and multiple color options add to the attractive quotient for the children. The sliders and the custom widgets make it easy to use as well. The Drag and Drop Page builder options and the retina ready features are the main attractiveness quotient for this Children WordPress theme. Easy to install and use, you have access to a powerful admin panel as well. Customization is easy due to its fully editable features. Changing colors is child’s play using this theme. 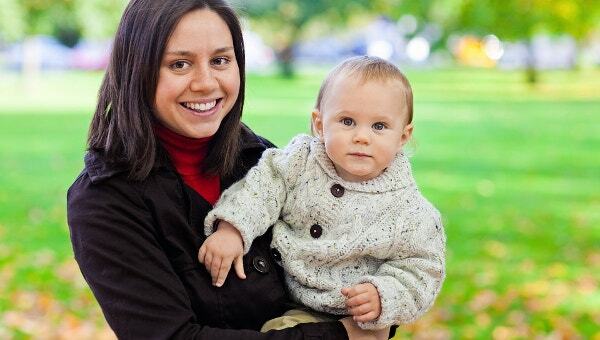 This easy-to-customize theme is a favorite among the Babysitting service providers. The retina ready features combined with the multiple color options make this theme a responsive one in all respects. With the access to over six hundred Google fonts, you have an attractive scheme in your hands. The SEO readiness makes it a great business opportunity as well. 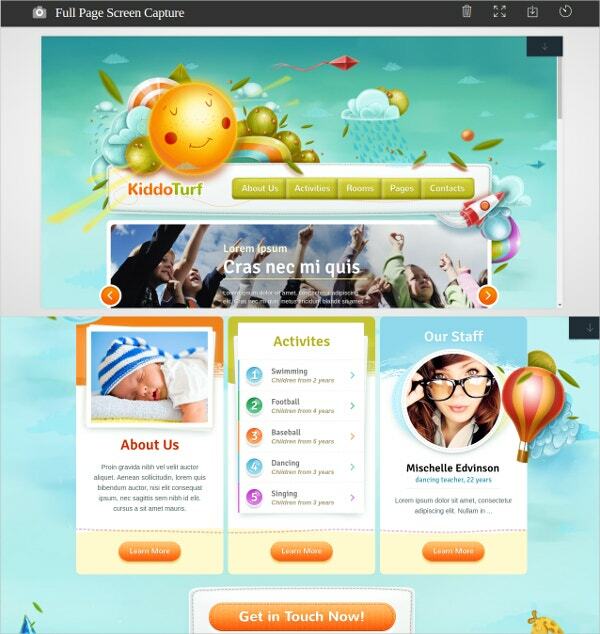 Compatible with all the major browsers, you can view this Pre-school Kids theme on all devices. The theme forest files include the PHP, CSS, JS, and the PSD formats. The well-documented theme is a highly responsive one. The customized widgets and the high-resolution features add to the attractiveness of the theme. Compatibility with WooCommerce and WPML is an added advantage. The main feature of this Unique Kids WP theme is the SMT framework 2.0. The Dynamic content loader enables easy uploading of content. Compatibility with the WooCommerce makes it a highly successful business theme as well. With adequate shortcodes, this theme is easy to use as well. The WPML compatibility enables easy translation options. Unlimited color options and access to over 600 Google fonts make this WordPress Kids ecommerce Theme an attractive one. The custom widgets and the contact forms features allow for easy utility. The shortcodes enable the user to access the themes without difficulty. The WooCommerce compatibility makes online transactions comfortable. The HTML 5 slider allows the perfect integration with the illustrations making it an extremely useful Kids WordPress theme. The responsive and retina ready features allow us to view and use the theme on a variety of devices. Easy to install, this theme comes with editable PHP and CSS files. This is a beautiful Kids Summer Vacation WordPress theme with a fully responsive design allowing for viewing on multiple devices. The editable and custom post types allow you to post in different formats. The WPML compatibility allows usage in multiple languages. The eighty plus shortcodes enable the user to access the theme easily without having extensive knowledge of computers. 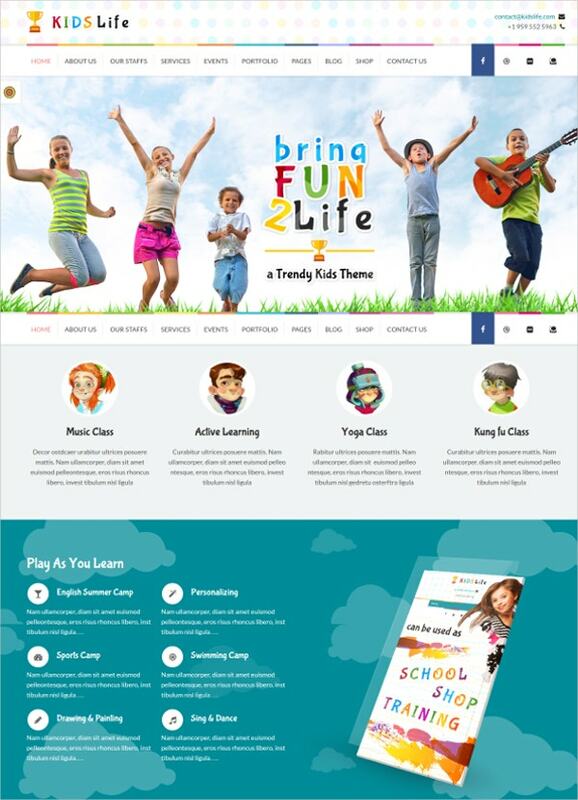 This responsive and retina ready Kinds and Children Education WP theme is extremely popular on the social media network as well. 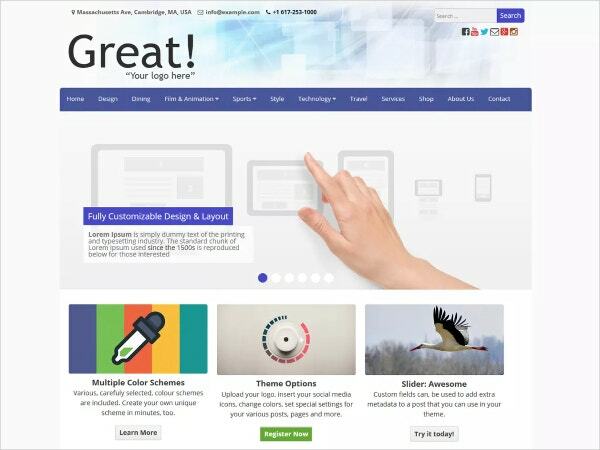 The Drag and Drop Page building features and the twenty gorgeous colors make it an attractive theme. Compatibility with WPML and WooCommerce allows you to perform online transactions in different languages. The well-documented scheme is best for marketing baby products. This is a highly responsive and multipurpose theme. Compatibility with WooCommerce makes online transactions easy. The WPML compatibility ensures a greater reach with the use of multiple languages. This theme has a variety of uses for children education as well as business and finance activities. The CSS 3 development makes it compatible for viewing on mobiles and tablets. 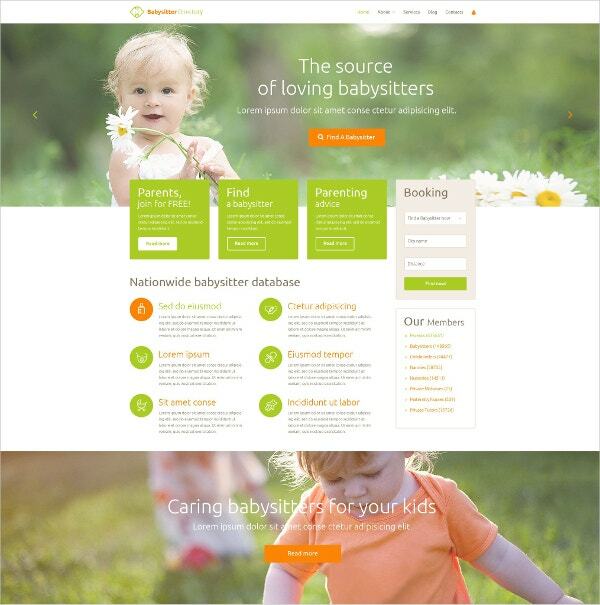 This responsive babysitter WP theme is Google mobile friendly. Easy to install and use, you have access to over 360 fonts and icons. The revolutionary slider and the color changing modes make this theme an attractive and beautiful one. Coded with HTML5 and CSS3, you can view this theme on your other devices as well. You have the Captcha security aspect in the theme. 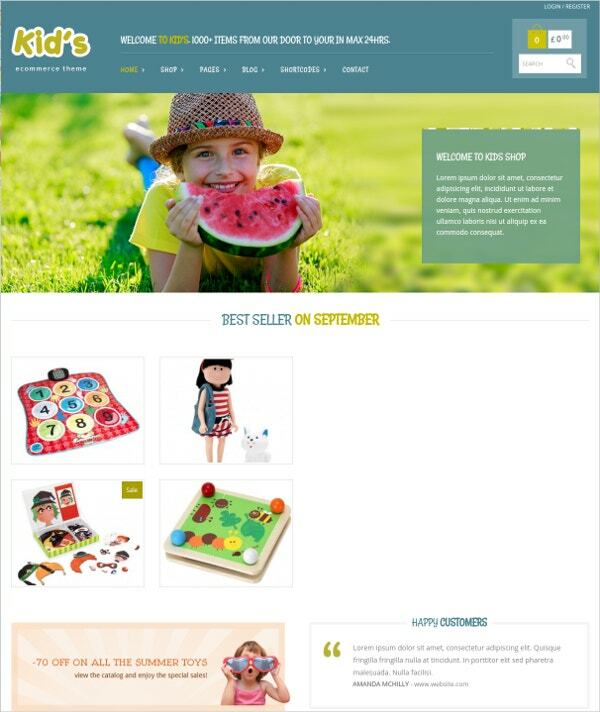 The Kindergarten schools and the child daycare centers would benefit from these excellent School WordPress Themes discussed above. You can get some of the best features such as the WooCommerce and WPML compatibility, custom widgets, revolutionary sliders, and attractive gallery options. The availability of the shortcodes makes it easy for everyone to use the theme.